Most advice you read about emergency funds focuses on how to save for the first time. But what about how to use your emergency fund in practice? Sufficient cash reserves are an important and useful tool, not a “set it and forget it” thing. Of course, like any tool, it can be used well or poorly. Checking: 1 month of core expenses in checking. This means your minimum checking account balance should always equal 1 month of core expenses. Core expenses are any required living expenses, such as housing, food, debt payment, etc. Savings: 2-5 months of core expenses (5 months for people with fluctuating income, 2 months for people with predictable income). Any additional funds for large purchases, vacations, etc. should also go in a savings account. Investments: Any excess cash in the budget should be directed toward investments. Cash reserves (the 3-6 months of cash available across checking and savings) allow you to “be your own bank.” If you find yourself pulling from savings, the tiers above can act as a “buoy” to remind you when you’re swimming too far from shore and spending too much. But when is it okay to use emergency funds? And what about when you retire and can withdraw from retirement accounts? 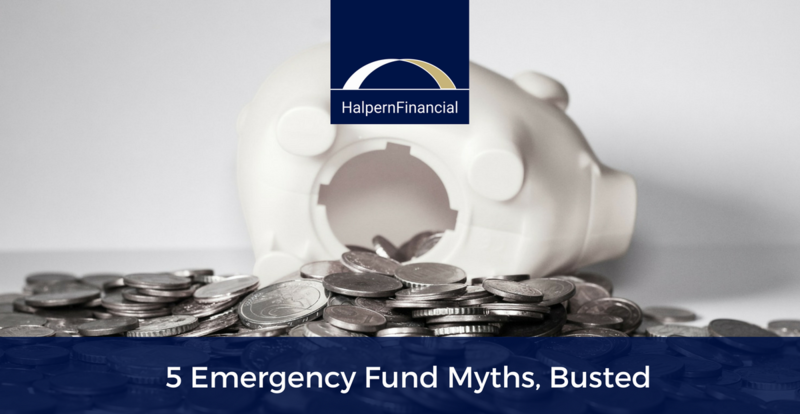 We get questions about this topic from time to time, so we wanted to provide you with 5 emergency saving myths and truths. If I want to grow my emergency fund, I should put it in investments. Your emergency fund and your investments are different accounts with different goals. The goal of an emergency fund is to have liquid cash available if needed, while the goal of investing is to grow money for the long term. Using your investment account as an emergency fund can have several undesired side effects, including opportunity loss, bad timing and taxes. Just think if you lost your job in 2008 as the stock market was crashing, and your emergency fund fell 30% or 40% just as you needed it most! The one exception to this would be retirees who are in the distribution phase, living on their investments. However, retirees do need a well-thought-out strategy to ensure that their distributions and cash flow are sustainable. I should save as much as I possibly can in my emergency fund. While the sentiment behind this belief is good—wanting the means to protect yourself in any scenario—the result is a missed opportunity to grow your net worth. In the current environment, interest on savings accounts is close to zero. According to GoBankingRates, the national average APR for a normal savings account is 0.06%. High-yield savings accounts and money markets yield about 1%. Let’s say you wanted to compare the opportunity cost of putting $10,000 into a normal savings account, a high-yield savings account, or investing in the market with a hypothetical average annual rate of return of 7%. After 10 years, you would have a total of $10,060 in the normal savings account, $11,046 in the high-yield savings account, or $19,672 in the investment account. That’s nearly double the original investment! The key here is that in a low interest rate environment that we have now, keeping too much in cash is counterproductive. Be efficient and keep the right amount of cash in the right types of accounts. I need to save 3-6 months of the amount I spend now. This would create an unnecessarily high level of reserves. Not to mention, it would also have a large opportunity cost. This is why we recommend identifying your “core expenses”—mortgage, bills, groceries, childcare, debt payments, etc. The “core expenses” number is the amount absolutely necessary to live on in a pinch without going into additional debt. Discretionary spending (hobbies, spa treatments, vacations, etc.) does not have to be included in this figure. I don’t need an emergency fund once I retire because I can take money out of my retirement account without penalty. After age 59.5, the 10% penalty for withdrawing from a pre-tax account (like a workplace retirement plan.) goes away. So if you are over age 59.5 but still working, you might wonder, “Why not tap my 401(k)?” When you withdraw money from a pre-tax retirement account, it is treated as income for tax purposes. That means you not only have to pay income taxes on it, but it may put you in a higher tax bracket. For example, a client of ours broke a hip and now needs rehab care for 20 days. At $24 an hour, that is going to come to $11,520. If this client took that from a pre-tax investment account, about $16,000 would need to be withdrawn to cover taxes. That’s a $5000 “penalty” that could throw the client into a higher tax bracket. If you don’t have after-tax liquidity, you can really hurt your overall financial situation. The burn rate on money is greater when pulled from tax-deferred accounts. Liquidity is very important for a retiree, so if you don’t already have after-tax money, now is the time to start saving. I should never touch the emergency fund if I can possibly avoid it. While you shouldn’t withdraw from your emergency fund for shopping sprees, not all emergencies are life or death. For example, if the choice is to take funds from the emergency account or to take on credit card debt, in most scenarios you should use the emergency funds. For upkeep and repairs that only occur sometimes, it can be worthwhile to just set aside a certain amount of money each year on top of the 3-6 months in core expenses. You may not know exactly what will break in the house or in the car, but you can be fairly certain that wear and tear is going to happen. It can add peace of mind to know that you are prepared no matter what—and if you end up not using all of those funds in a year, you have a surplus that can be added to other financial goals. At the end of each quarter, evaluate when you had to pull from the emergency account. Were they costs that could have been anticipated? Or were you just overspending? Evaluating your emergency fund balance on a quarterly basis gives you an opportunity to reel in any bad habits. Proper cash flow and emergency fund management takes discipline, but it is something you can learn and improve on over time. The payoff of lowered stress is well worth it! Get a better handle on your day-to-day cash flow with the Personal Budget spreadsheet! 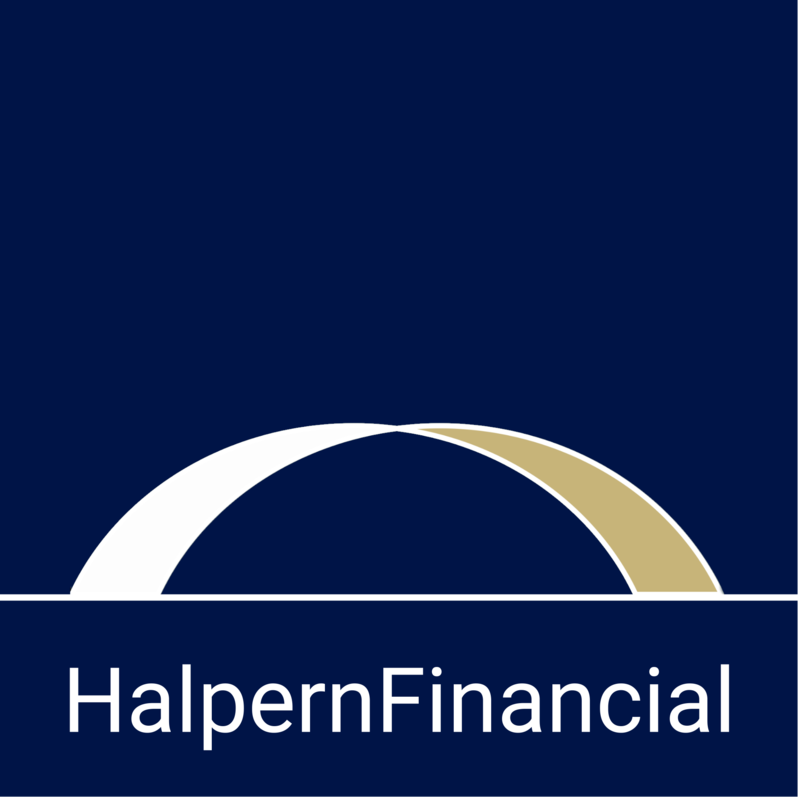 Ted Halpern is the President and founder of Halpern Financial, an independent fee-only wealth management firm with offices in the Maryland and Virginia suburbs of Washington, D.C.